Rugged mountains and rolling prairies form the unique landscape of western South Dakota. Within the last few years, mountain biking has become one of the many sports of choice to get to know this wonderful, spiritual land. Introducing our multi sport tour – Mt. Rushmore Sampler, a fully-supported tour including hiking, biking and more. Operating for over 37 years - we know adventure! Acme Bicycles is a full service bike shop. We sell many different brands including Kona, Santa Cruz, Salsa, Transition and many others. Offering a full day biking tour along the Mickelson Trail through the Black Hills. Connecting Black Hills area cyclists with trail and ride information. Cranky Jeff's is a full service bike shop located in the heart of Rapid City. Up-scale on road Inn to Inn tours in the Black Hills with an option to mix on road with the Mickelson Trail. 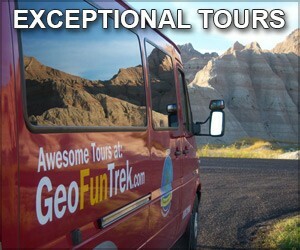 We are a bicycle rental and shuttle service serving the George Mickelson trail. Your Black Hills Trail Resource for maps, guides, directions, race information, pictures, videos and news for bikers, hikers, runners and equestrians. We are the only bike shop located on the Mickelson Trail. Our store in Hill City offers bicycle rentals & sales, shuttles, repair & accessories. Everything you need to bike in the Black Hills ... rentals, gear, and bike maintenance. Two Wheeler Dealer's three locations reflect a passion for cycling, offering superior fitness gear, bicycles for sale or rent, events, classes and more. 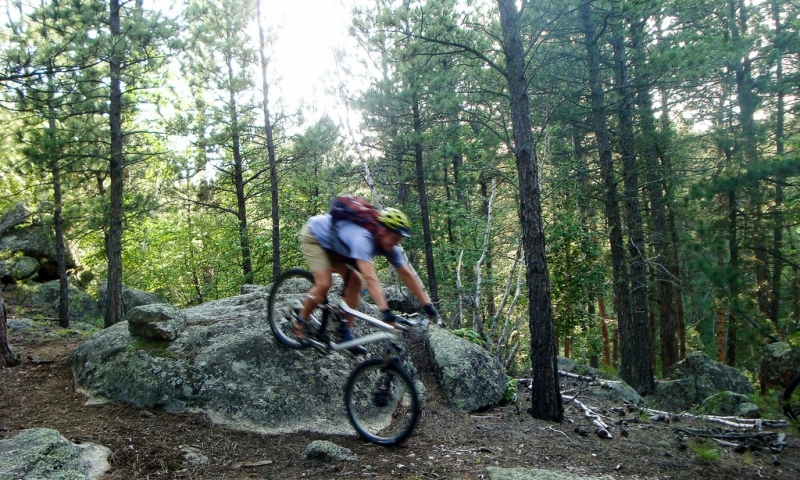 A Black Hills’ mountain bike or road bike adventure is a perfect summer or fall activity. Several companies offer daily bike rentals, shuttle service, and multi-day cycling tours. Cruise down Centennial Trail, George S. Mickelson Trail, and more. Bring your bike or schedule a cycling tour and explore the Black Hills' peaks and plains on two wheels. 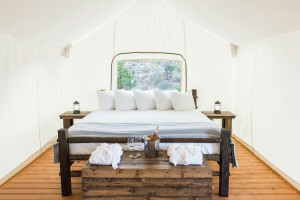 Whether a mountain or road cyclist, thousands of miles await you, ideal for summer and fall travel. Experienced riders will find challenging trails, and novices can join an easy tour or ride in more gentle areas. 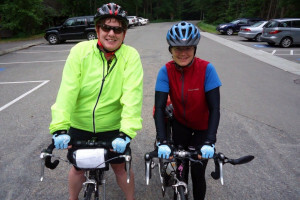 Several well-established bike rental and touring companies operate in this region. Rapid City to Mount Rushmore: Begin by riding 13.5 miles within Rapid City, following Rapid Creek. Then, head southwest for 18 gorgeous miles in Black Hills National Forest. Custer State Park/Needles Highway: Needles Highway (SD 87) features towering, granite peaks rising above the terrain and wildlife such as bison, antelope, and big horn sheep roaming the landscape. Centennial Trail: This 111-mile stretch of single track is perfect for experienced riders seeking a challenge. 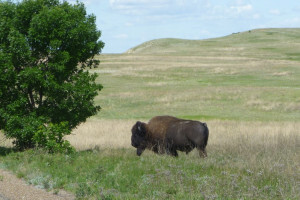 With starting and ending points in Bear Butte State Park and Wind Cave National Park, ride to your heart’s content. Bear Mountain Trail: This 16.1 mile path leads you through the trees and limestone formations of Black Hills National Forest. George S. Mickelson Trail: This 109-mile long trail connects tunnels and converted railroad bridges and is comprised of crushed limestone and gravel. Road cyclists and mountain bikers alike enjoy this spectacular trail as it winds from Deadwood to Edgemont. Bicyclists over 16 years of age must purchase a Mickelson Trail pass - $2/day or $6/annual. Terry Peak Ski Area: Offers a variety of cross country and downhill mountain biking trails. The chairlift will take you to the top on a few select Saturdays in the summer. Otherwise, you can simply bike up and back down. The Adventure Cycling Association offers info on travelling via bicycle.